State Sen. Jim Ferlo reminded motorists today that Pennsylvania’s new law that bans texting while driving goes into effect Thursday. Ferlo was one of the original co-sponsors of a bill to ban texting and phone calling while driving. Starting Thursday, Ferlo said Pennsylvania drivers will no longer be allowed to text, instant message or email while behind the wheel. Emphasizing the danger, Ferlo successfully amended the legislation to make the state’s anti-texting law a primary offense, which means a motorist can be stopped and cited specifically for committing that offense. He said the new law applies to anyone using interactive wireless communication devices to send or receive text communications while driving. Violators are subject to a $50 fine. While the penalties that will be imposed will certainly be a deterrent, he emphasized that a lengthy period of education and advocacy will be necessary to encourage people to change their behaviour. Because text messaging requires visual, manual, and cognitive attention from the driver, it is by far the most alarming type of distracted driving. In 2009, 5,474 people were killed in crashes involving driver distraction, and an estimated 448,000 were injured. More information can be found on Pennsylvania’s texting while driving ban at http://www.drivesafepa.org/. Summer is coming, and with that, higher electricity prices for some of us as fans and air conditioners begin to hum. You may have received pieces of mail from new companies on choosing an electricity supplier. I certainly have. It may be a prudent time of year to look into your options on electricity choice. Utility rates are governed by the Public Utility Commission. Over the last few years, established rate caps expired, allowing utility companies to petition the PUC to raise their rates based on their costs. Alternate suppliers were empowered to enter the market and give consumers more choices. The PUC has created PA Power Switch as a guide for consumers to use in making informed choices. There are three parts to your electric service: generation, transmission and distribution. Generation is the production of electricity—the companies who produce it are called suppliers. Transmission is the movement of that electricity from where it is produced to a local distribution system. Distribution is the delivery of electricity to your home or business. In most of my district in Pittsburgh city limits, Duquesne Light serves as your electric company. Duquesne will continue to deliver your service, provide maintenance, and handle your billing, but you are now able to choose the electric supplier who generates the electricity that you use. Once you enter your zip code, you can see all the available suppliers, their price to compare, and contractual terms. You are welcome to stay with Duquesne Light as supplier or you may elect to switch. A quick search for zip code 15201, home of my Lawrenceville district office, pulled up seven different options for residential properties. I urge you to visit PA Power Switch online or to call the PUC at 1-800-692-7380 and research carefully. If I can be of any assistance in this or any other matter, please contact my district office at 412-621-3006 or visit my website. Senator Jim Ferlo will join the Senate Democratic Policy Committee to host and moderate a town hall meeting that will include a panel of public safety, public health, environmental, and industry experts in the natural gas extraction field, as well as a public comment period. The meeting will take place Thursday, April 28 from 3 to 6 p.m. at the Holiday Inn, Pittsburgh University Center, at 100 Lytton Ave (between Fifth Ave. and Bigelow Blvd in Oakland). Senator Ferlo points out that Governor Tom Corbett’s Department of Environmental Protection and Department of Community and Economic Development Secretaries have been invited to testify. However, both have turned down the opportunity, while at the same time making appearances at House Republican hearings on the subject last week. 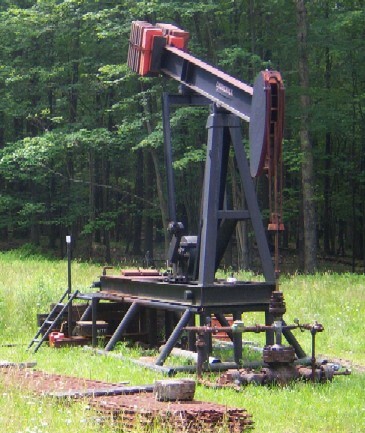 The meeting will focus on the opportunities that drilling in the Marcellus Shale offers, as well as the environmental, public health, economic and social challenges it presents. Public participation is encouraged. Those wishing to speak during the public comment section are encouraged to register with Sen. Ferlo’s office at 412-621-3006. A full agenda is available on Senator Ferlo’s website. The event will also stream live online here. As reported in recent Post-Gazette and Tribune-Review articles, the IRS is no longer mailing out tax forms and booklets. 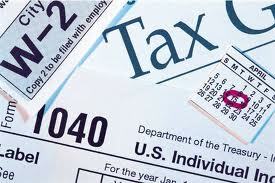 Tax forms are available at local libraries and post offices, or the offices of your local representatives. The PHCA office also has a small supply of 1040 booklets and forms, and we can print out forms for you at no charge (although a small donation would certainly be appreciated). We also have materials for the property tax/rent rebate. The deadline to apply is March 1. It’s been reported that many homeowners don’t know they’re eligible. For more information, check the Pennsylvania Property Tax Relief page. The Pennsylvania Low-Income Home Energy Assistance Program (LIHEAP) helps low income people pay their heating bills through home heating energy assistance grants and crisis grants. You can receive this money without being in the Cash Assistance program — a family of four with an annual income of up to $35,280 can qualify for assistance. The fastest way to apply is through COMPASS, the online resource for cash assistance, food stamps, help with child care, health care coverage, home heating assistance (LIHEAP), school meals, SelectPlan for Women and long-term living services. For more information, please contact Allegheny County Department of Human Services,1-800-851-3838 or contact the LIHEAP hotline at 1-866-857-7095, Monday through Friday (individuals with hearing impairments may call the TDD number at 1-800-451-5886). You can also reference our previous post about this program. On another timely note; the final deadline for the 2009 Property Tax and Rent Rebate application is December 31st. The Pennsylvania Property Tax and Rent Rebate Program provides property tax relief for senior citizens, widows and widowers over 50 years old, and disabled adults. The funds are available for households that make up to $35,000 per year. Applicants may also exempt half of their Social Security when calculating their total income. This vital program provides a maximum rebate of $975 to eligible applicants. A rebate of up to $650 is available for renters who make up to $15,000. More information about the program is available on the Pennsylvania State site. Any resident looking for more information or to complete an application can also contact Senator Ferlo’s office at 412-621-3006. Over the past few years a new and seemingly endless resource has been revealed right below our feet, and now it has become a prominent topic in the media, in communities, and in homes throughout the state. I am of course referring to the natural gas reserves held in the Marcellus Shale formation that can be found in Pennsylvania, West Virginia, and New York State. These natural gas reserves are said to be able to power America for a century. There is enormous potential for Pennsylvania to benefit from this resource; however, I believe there are many significant risks and questions that we must address NOW. While techniques like hydraulic fracturing/”fracking” are not brand new, the volumes and technologies employed have rapidly expanded and changed, making it all the more important that we examine the possible impacts to our environment and to our residents. We all have a responsibility to educate ourselves on this issue and take the time to formulate a thoughtful approach that will generate revenue, bring jobs, and protect our environment and our health. 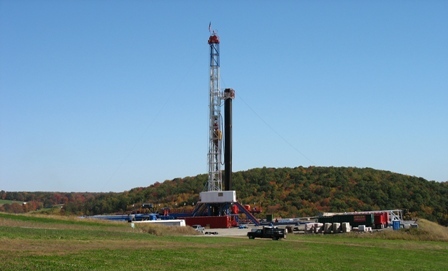 To begin addressing this I have introduced Senate Bill 1447 calling for a one-year statewide moratorium on all new Marcellus Shale natural gas well drilling in Pennsylvania while a study commission is formed to analyze gas well drilling and make recommendations. I also recently moderated a virtual tele-town hall event where a panel of individuals connected to the industry was on hand to answer questions, explain procedures, and address concerns. to link to information on Marcellus Shale issues and regulations from the Department of Environmental Protection, view the tele-town hall video, and ensure that we identify and implement policies that will allow this industry to grow and ensure benefits back to our residents. Please take a moment to let me know your opinion on this issue. You can find more information and email me on my website at www.senatorferlo.com, or call my office at 412-621-3006 to learn more. I hope to hear from you. 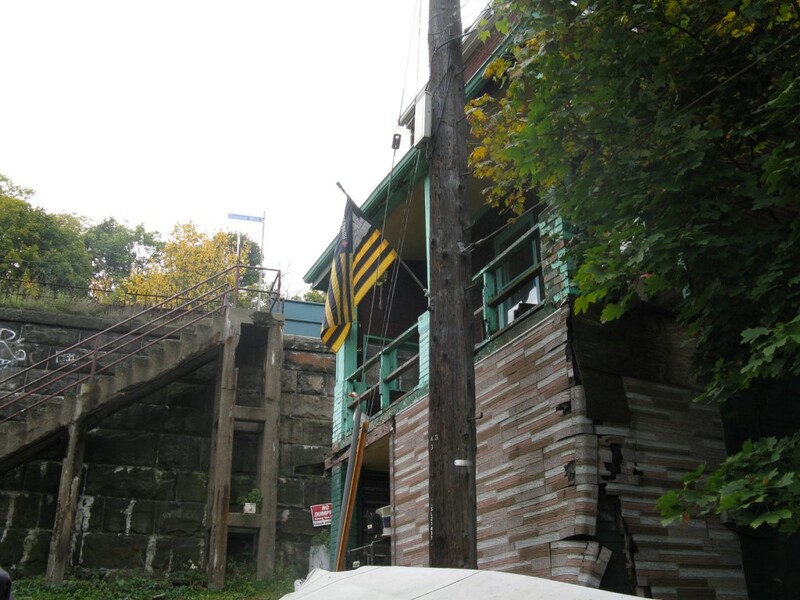 We already did a post about this, but this is an important issue that could affect communities around Pittsburgh for decades to come, so here’s a reminder. State Senator Jim Ferlo will host a Tele-Town Hall Meeting to discuss deepwell drilling of the Marcellus Shale on Thursday, September 9 from 6-7 p.m. This innovative meeting format will include a panel of public health, environmental, regulatory, labor and industry experts in the natural gas extraction field. 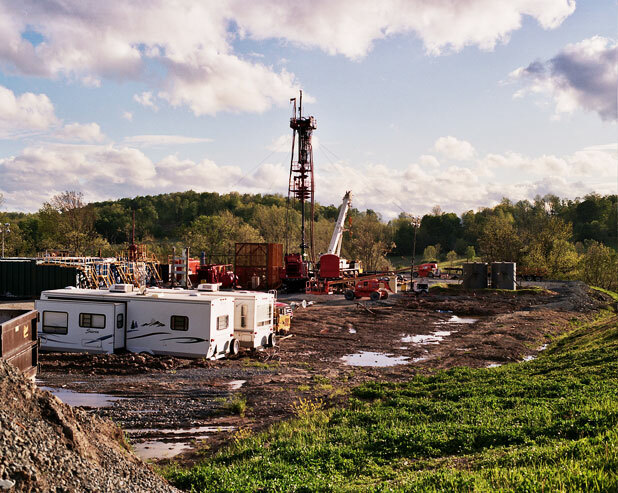 The Marcellus Shale is a geological formation found under Pennsylvania, New York, and West Virginia between 5,000 and 8,000 feet below the surface. The formation is estimated to hold 500 trillion cubic feet of natural gas, enough to power the United States for decades. This fossil fuel resource possesses enormous opportunities, but perhaps even more environmental, public health, economic, and social challenges. Please join Senator Jim Ferlo by phone on September 9th to learn more from a panel of experts on the “Good, the Bad, and the Ugly” of the Marcellus Shale natural gas deposits. To participate, Dial 1-888-886-6603 Ext. 15390#. This tele-town hall meeting is intended to allow maximum participation by the public by offering a toll-free number, so constituents can listen and ask questions from the comfort of their home. Call 1-888-886-6603 Ext. 15390# between 5:55 p.m. and 7 p.m. to listen in on the important town hall meeting to learn more about the Marcellus Shale’s expected impacts on Pennsylvania residents. The event will also be streaming live online at www.senatorferlo.com where the meeting may be seen continuing past the first hour. For more information, call Senator Ferlo’s Pittsburgh office at 412-621-3006 and ask for Mikhail Pappas. State Sen. Jim Ferlo and citizens of Pittsburgh will join in a national celebration of the 45th Birthday of the Federal Medicare Act today by rallying to support an expanded Medicare for all. The rally will be held today, Friday, July 30 at noon at the Allegheny County Court House Fountain Plaza. Ferlo will join with the PA Coalition for Single Payer Healthcare, Steelworker Organization of Active Retirees, PA Alliance for Retired Americans, Just Harvest and other organizations at the event. Ferlo added that Medicare provides medical coverage to 95 percent of all seniors 65 and older. By pooling benefits and risk universally, it advances the right of affordable health care equity through a practical economic model. In addition, Medicare beneficiaries are overwhelmingly satisfied with their coverage.